We’ve done a lot of bacon wrapped recipes on this page along with a fair share of sweets. For those looking for something a little more on the healthy side we have our Grilled Caesar Salad with homemade croutons. All aspects of this recipe have that great open wood fire taste. Serve this to your guest to really step up the salad game. Start by turning your grill on and setting the temperature to 400f. 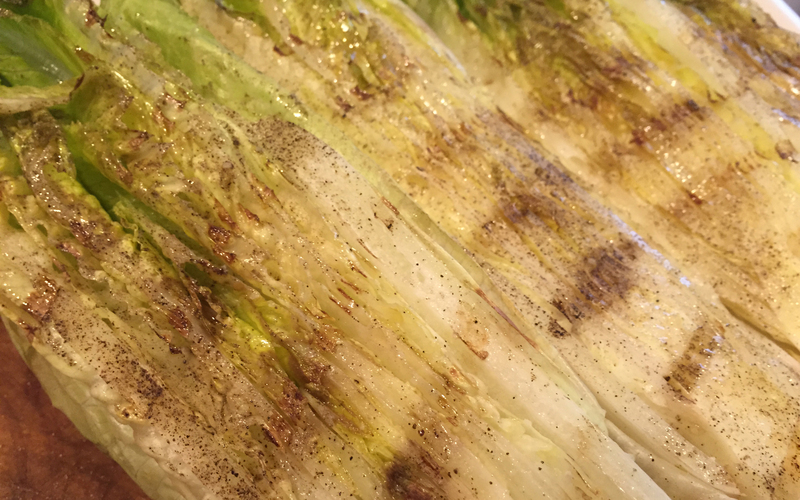 Next cut the romaine down the center lengthwise and brush on olive oil, lightly coating the cut side. Season with salt and pepper and place cut side down on the grill for 1 min, remove from the grill and place in the refrigerator. 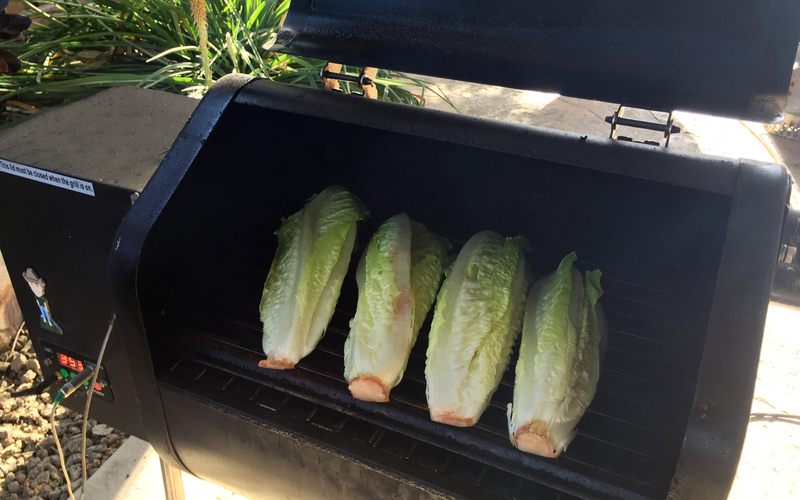 While the romaine is resting cut the Italian bread into 1/2 inch slices and brush with olive oil. You will also need to cut the lemon into 1/4 inch slices. 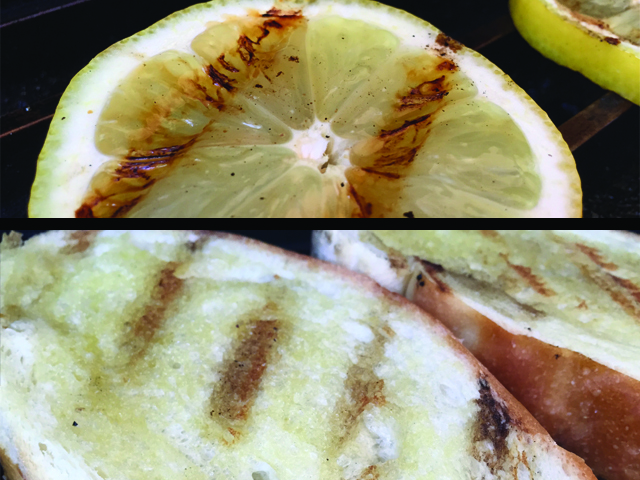 Place the bread and lemon on the grill. Remove the lemon after 1 minute on each side. Remove the bread after it is toasted and dry about 3-5 min per side. Once the bread is done rub a peeled garlic clove on booth sides of the toasted bread. Then cut the bread into 1/2 inch cubes. 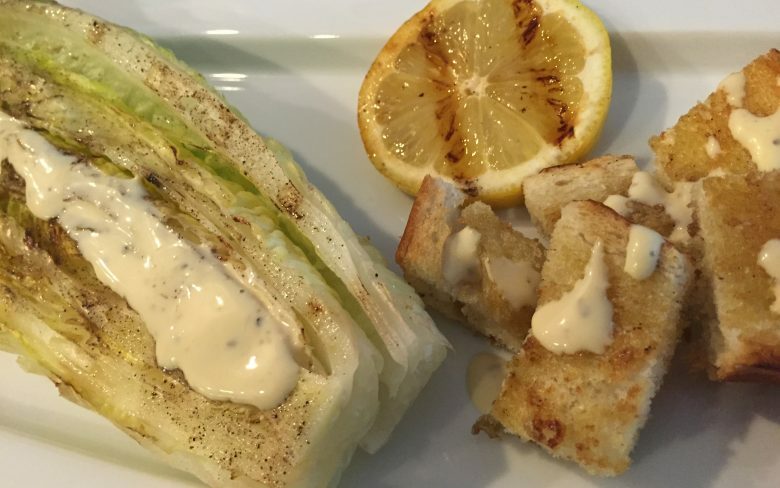 Place the croutons and lemon on the plate along with the chilled romaine lettuce cutting off the stem and topping with dressing and shaved parmesan. Enjoy on a hot summer day! If you have any questions about this recipe or any other blog posts please leave then in the comments below.